I believe anybody can write a biography just as anybody can write a novel—but in both cases, you have to have a strong feeling for story. Also anybody can do research—but if you don’t know how to arrange facts in a way that build character and plot, amuse your reader and propel the narrative, you might as well be making lists. Storytelling is a lot harder than interviewing, ploughing through google, or even deciphering the handwriting. Few subjects have lives that fall naturally into the structure of a novel, with the right pacing of climaxes and low points. But you can control the amount of space you give each element in the book. To do justice to your subject, you must also favor personality over ideas, character over cause, narrative over thesis and psychology over ideology. If that isn’t enough, you need to be intuitive, empathetic, untrusting, a close reader, a deft listener, not too imaginative, with experience as a detective a high tolerance for disintegrating paper, not to mention contradiction. For years Beckett’s biographer Deirdre Blair thought he adored his mother but just before she handed in the biography, letters surfaced that showed that he much he hated her, and she had to rewrite the book. Think of writing a biography exactly the same as writing a novel—except with one hand tied behind the back in the sense that every sentence has to be verifiable. Biography is only as good as the story you tell—accurately. 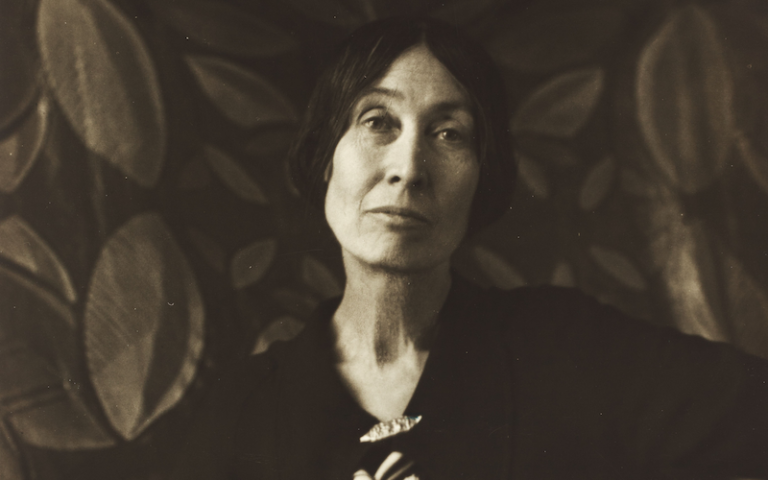 Lola Ridge (1874-1941) was a very prominent proletariat modernist poet—the New York Times said at the time of her death that she was one of the best poets in the country–but proletariat modernism as a movement was buried under the anti-liberal, anti-female, and anti-experiment sentiments of the WWII period and the McCarthyism that followed. Good friends with William Carlos Williams, Marianne Moore, Hart Crane and Jean Toomer, Ridge’s legacy was not restored due to a continued critical disdain for political poetry, a devaluation of women’s contributions to the genre and the revival of formal poetry. It didn’t help that for forty years the executor had control of her papers and promised to write her biography and publish her collected works, but did neither. When I tackled Anything That Burns You: A Portrait of Lola Ridge, Radical Poet, I had the advantage of having published five novels and Black Glasses Like Clark Kent, a memoir that won the Graywolf Nonfiction Prize. I’d never written nonfiction of any length when I wrote the memoir—but I had those novels. Given the provocative material I was investigating—that of the justice system and possible illegal executions of black GIs—I desperately wanted my research to be taken as truth, which made casting the material as a novel not an alternative. I had also published six books of poetry so when it came to binding together the research, taped reminiscences, interviews, and my life, I was familiar with how the long lyric poem could encompass strategies of contradiction and elaboration, contain “information,” accommodate some digression, multiple sources, and self-reflexive commentary. In the end, I even used footnotes, which prepared me for my dive into biography. I confess to using every possible fact to draw Ridge’s life story: there weren’t many. I surrounded them with stories about her interactions with contemporaries, and brief discussions about her work. As a sort of American Pound, the social aspects of Ridge’s presence were just as important as the critical reception of her writing. She worked hard as an editor of two major modernist magazines and as an active salonniere to unite and inspire poets and critics on the issue of what was genuinely American poetry. She kept the flame of modernism going when it could easily have burned brightest in Europe, as was the fate of Dada during the same era. Writing about her relationships with contemporaries was also a way to counteract the problem of no interviews and show how respected she was. In order to understand her more radical views on feminism and her personal decisions derived from these ideas, I also felt I had to show those made by other women poets of her time. Each of my chapters was organized around a theme and a successive time period. A few of the chapters consolidate information that explain her behavior over time, for example her reliance on patrons, her insistence on poverty, and her health, and how these worked together to cumulatively impact her work and her public’s vision of her persona. I grouped all the occasions and quotes to support my theories about her drug use, anorexia, and health in general in a chapter called “Brunhilda of the Sick Bed,” a nickname given to her by her best friend, the novelist Evelyn Scott. I felt the reader needed to know the effects were ongoing, so as to be able to better judge her decline. But when I wrote a scene between myself and my sons about how hard it was to work around them, and then one about Lola’s abandonment of her son, or of myself living in the South Sudan with the Nuer and then Lola’s experience visiting Baghdad in the 1930s, I was always judging or being judged by my subject. How my life was like hers was the question I kept having to circle, and I didn’t really know, given the differences of culture and history. The exercise took away from clearly setting out her life, and since I figured I’d be the only one to do that, my story just got in the way. The coup de grace came when I was writing about her late in life – I was especially loathe to assess my own situation with her waning opportunities. I came to feel that I owed it to Lola as an unknown but deserving poet to try to reach as many readers as possible. What I needed was a very plain style and an easily understood structure. Laying out why she was important meant viewing her life chronologically, since the influence of most people, including her, accumulates over time. That didn’t mean, however, that I began on the first page with her birth. I needed to first establish her as someone worth reading about. I chose a dramatic scene to portray her at the height of her influence—standing up to a police horse at the demonstration against the execution of Sacco and Vanzetti. I followed that with an example of her terrific radical poetry: a stunning imagist poem about the unemployed immigrants in New York called “Debris.” After this came the rationalization about why Lola now, an important question to consider before undertaking all the research, as well as why read the book now. This is especially true of subjects that are generally unknown. Just as not every writer-of-memoirs is Shirley MacLaine, not every biography is about Abraham Lincoln. Only after all that was presented did I begin the story of her origins. A biographer tries to impose meaning on the chaos of a life. I found Ridge’s in nearly the last entry in her diary, written a few months before she died, while she was penniless, and eve, as she said, without underwear: “I have then the first requisite for a great book—the freedom of my own spirit, my own citadel and a command of its gates.” Whether she had to leave her child in an orphanage, or court capitalists for funding or dismiss the judgments of her peers with regard to her nemesis Gertrude Stein, Ridge pursued her freedom. Modernism was founded on the idea of freedom of subjects and styles, and, like Isadora Duncan, Ridge found ways to embed that belief in every aspect in her life. When assessing the inevitable contradictions of such a quest, I considered the end results: she won time and money to write, and she certainly developed her own opinions about poetry. This was especially noticeable when she trashed seventeen of her peers in a Saturday Review piece in 1929. It was not the best career move but one she stood by. Your main task as a biographer—after that of story—is to make the reader feel the passion that you feel for your subject. The downside of this is that at some point in writing a biography, nearly every author discovers truths about her subject that makes her hesitate. Nice is the one adjective in the world that is laughable applied to any single thing I have ever written, writes Ridge toward the end of her career. She was not nice. Female subjects are expected to be nice. In gender contrast, one of the first career moves for Rainer Maria Rilke, a contemporary of Ridge’s who is most famous for his poems about angels, was to take all his girlfriend’s savings to publish his first book, dedicate it to a baroness, and abandon the fiancée. Ridge’s subjects were not nice: lynching, murder, execution, race riots, and imprisonment. She celebrated the Jews in the tenements of New York City when people went on tours of the Lower East Side as if they were on safari. She wrote “Lullaby,” a poem in black dialect but in the persona of the white woman who threw a baby into a fire during the 1917 St. Louis riots. The poem is still so incendiary that just two months ago, a publisher in Brooklyn refused to include it in a republication of The Ghetto and Other Poems. There is one detail in the Ridge story that is very difficult, and I believe partially why her biography was never written. Although her alcoholic husband threatened to kill her if she took her eight-year-old son with her to America, Ridge brought him along, despite there being two grandparents and many aunts and uncles and cousins who could have helped look after the boy in New Zealand. A month or so after docking in San Francisco, she left the boy at an orphanage in Los Angeles. They were reunited six years later—in the company of her young lover—and they parented him for only another three years and left him again, on his own in Detroit at age 17. She never saw him again. He became a boat radio operator and committed suicide in Chile a year after her death, shortly after he learned of hers. To contextualize this abandonment, I wrote extensively about the difficulties of being a single mother at the turn of the century, especially a mother who wanted to pursue art of any kind, and about the difficulties of being a child of a poet, that such children—like Plath’s—might have inherited a very sensitive emotional constitution. The fact that to this day there are no other accounts of Ridge’s son indicates the continued stigma of her act. If she had been a man, would it have been such an issue? Jean Jacques Rousseau left six bastards at orphanages, to their probably deaths, and no one held it against him. Although Ridge’s decision shocks readers, it also brings to light prejudices that linger about the gendered responsibilities of parenting. Gender is part of who gets remembered. In 2015, 71.7 percent of biographies were about men and 31 per cent of those were written by women. Only 6 percent of male biographers chose to document a woman’s life. Hence there are far fewer biographies written about or by women than men. Women read fewer biographies and histories, but then why would they, when the topics are predominantly masculine or when women are portrayed with less complexity, under the obligation to be nice? The neglect of women as subjects represents a wonderful opportunity for contemporary biographers. Pick one.